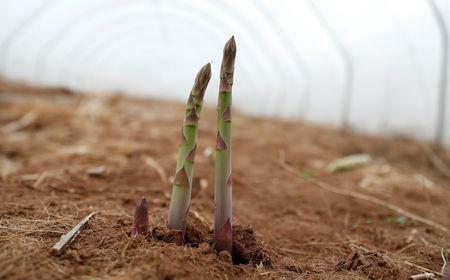 ROSS-ON-WYE, England (Reuters) - For almost 100 years, Chris Chinn's family has farmed asparagus in the rolling hills of the Wye Valley in western England. At Chinn's farm, which turns over more than 10 million pounds a year, the workers pick the premium asparagus spears that can grow up to 20 cm a day by hand. Sometimes they pick them twice a day before dispatching them to customers such as Marks and Spencer and Britain's biggest supermarket, Tesco.